Kate Hudson's Skin Care Habits - Does She Use The Best Wrinkle Cream? 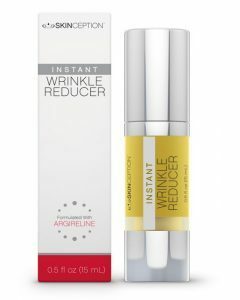 Home » Sponsored Skin Care » Kate Hudson’s Skin Care Habits – Does She Use The Best Wrinkle Cream? She uses a little known trick Paul Newman taught her years ago to freshen up her skin, has two key foods that she swears by to help maintain a glowing complexion and often prefers to do her own make up before a red carpet event. The daughter of Goldie Hawn and heavy rock musician Bill Hudson, Kate Hudson claims she doesn’t have any particular skin care habits that are responsible for her youthful looks. She does have sensitive skin and when she’s filming, the daily makeup routine shows up on her skin pretty quickly. Her personal choice of skin care products tends to be basic; simple ones that soothe rather than stimulate. Her daily skin care routine likewise is pretty simple. A cleanse, then moisturizer which she allows to soak in before using anything else. Hydration is the key, she says, to keeping your skin looking young and fresh. That and using products with SPF. Kate is also a self confessed foodie. She loves cooking and if left to her own devices, would indulge her love of calorie-laden food. However, she’s learnt that by watching calories and knowing the caloric value of what she eats, she can still indulge in the odd 400 calorie croissant so long as she balances it by having less calories in one of her other meals. Two foods that she swears by for helping to maintain good skin health are avocados and anything with omega oils. Avocados are laden with vitamins C and E, and carotenoids. All proven to help the body produce collagen, one of the primary structural proteins in the skin. For omega oils, fish are one of the best sources. And the secret skin care tip Paul Newman shared with her? Well, that involves dunking your face in an ice bath. It invigorates your face like nothing else and it’s good for waking you up too.